Once upon a time in Boston, Massachusetts, two busy entrepreneurs discovered many of their overnight and expedited shipments never made it to their destinations by the scheduled delivery time. While they were providing multiple carriers with a wealth of revenue from their shipments, they never saw a refund for the shipments that were late! In fact, the carriers never even informed them of their failure to live up to their money back guarantees. Not only would these two busy entrepreneurs benefit from such a service themselves, but they reasoned many other individuals and companies would too. And so, PackageFox was born. Are you sending a out bunch of FedEx or UPS shipments every month? Chances are your invoices contain refund opportunities. Let PackageFox help you save some money. Audit Your Bills — It’s Free! Late delivery of your expedited packages is inconvenient and costs you money. But how do you recover funds from those late deliveries? 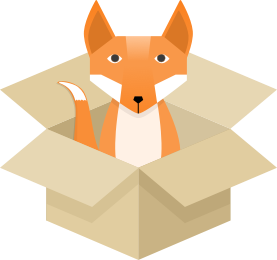 PackageFox can quickly audit your shipments and recover your money in just a few easy steps!